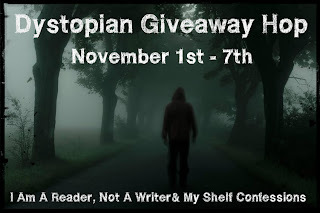 The Dystopian Giveaway Hop, hosted by I Am A Reader, Not A Writer and My Shelf Confessions, has begun. This hop ends on midnight November 7th. We are giving away one e-book copy of Tomorrow Land by Mari Mancusi. Our giveaway is open internationally. Everything by Stephen King creeps me out. My favorite scary book is The Long Walk by Stephen King! My favorite dystopian is Divergent. Thanks for the giveaway! I read lots of semi-scary books, but not too many that are really truly scary. I used to read a lot of Dean Koontz though and those were pretty scary. 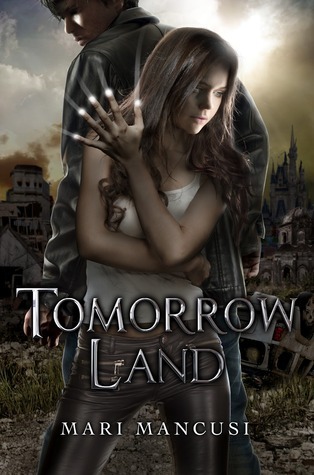 Thanks for offering the chance to win Tomorrow Land. I've been wanting to read this one! Red Dragon was pretty intense. Poisen Princess is currently my favorite scary book! IT by Stephen King scares me silly. The Shining by Stephen King, thank you for the giveaway! My favourite 'scary' book is The First Days by Rhiannon Frater! I am NOT A Serial Killer series by Dan Wells. I loved Anna Dressed in Blood! One of my favorite scary books is Hellbound Heart by Clive Barker. It is an adult books and extremely gory and graphic. He is awesome in my opinion. Stephen King's It. Pet Cemetary was pretty good, too.